Facebook has over 2 billion active users—nearly one quarter of the entire world population. A quarter of the population that we’re called to reach for Jesus. We believe this is more than an opportunity—it’s a responsibility to help people find Christ-centered community. 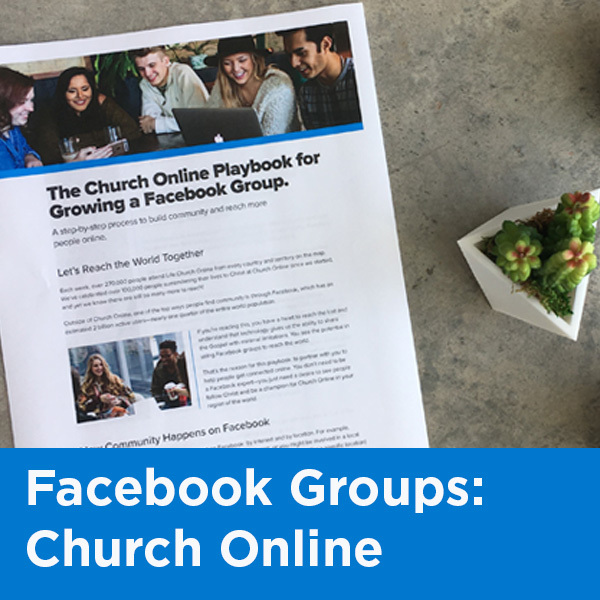 We created the Playbook for our Church Online volunteer team at Life.Church, and soon realized it would be helpful for other ministries with a heart to connect people online.